STAX was recently invited by International Enterprise (IE) Singapore to brief Singaporean businesses on high-growth sectors in Sri Lanka, at a seminar entitled ‘Sri Lanka Investment Opportunities 2017’. IE Singapore is a government agency that promotes international trade and works with Singaporean companies to help them go global. Sanda Wijeratne, a Manager at Stax, presented a snapshot of the macro fundamentals of Sri Lanka, as well as specific industry opportunities for investment and trade. 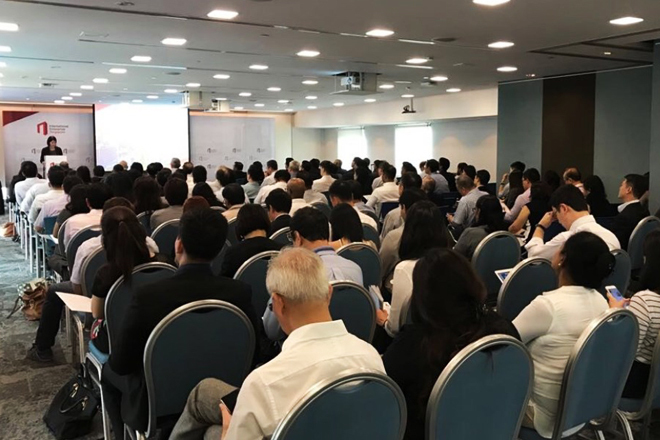 IE Singapore, supported by the Singapore Business Federation and the Singapore Chinese Chamber of Commerce and Industry, partnered with the Sri Lanka-Singapore Business Council to organise this seminar. The event was held in Singapore recently and was graced by H.E. Nimal Weeraratne, Sri Lanka’s High Commissioner to Singapore. This seminar is timely as the Sri Lanka-Singapore Free Trade Agreement (SLSFTA) nears the latter stage of negotiations. Ms. Wijeratne’s presentation highlighted sectors such as healthcare, hospitality, export-led manufacturing, and retail. While providing data on growth sectors as well as underlying drivers and trends, she also highlighted several challenges that foreign businesses may face and potential ways to overcome such obstacles. A theme running though the presentation was the importance of partnerships and JVs with local companies to gain successful market entry into Sri Lanka.